One of the great things about working in District 75 in New York City is that we have regular bi-monthly meetings where the tech liaisons from our 60+ (and 100s of sites/buildings) schools get together to share and learn. We recently had the opportunity to talk about what tools are benefitting us most in the classroom. Here is a recap of that information. Technology can become the “wings” that will allow the educational world to fly farther and faster than ever before—if we will allow it. Boardmaker Online – Some schools find the online version of Boardmaker worthwhile as it provides fully touch-capable lesson creation. 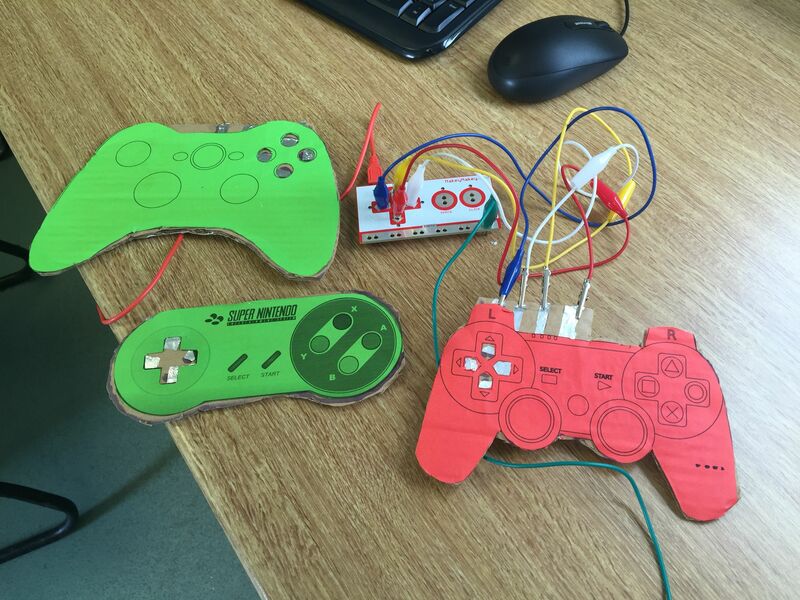 Makey Makey – You can create your own accessible controller utilizing along with Headmouse. Wireless Mouse – Allow students to take control with a simple cheap multi-button switch alternative. Skype Business – Many schools don’t realize they automatically have a great tool for communicating across sites. Microsoft Teams – One of the latest MS tools has Skype, OneNote and sharing features built in for group communication. VSee – This is a telecommunication service that promises privacy and seems to work well even with bandwidth issues. Zoom – We use this for streaming events frequently. BrainPOP ELL – Some schools have found it worthwhile to pay more to add ELL to their BrainPOP subscription. Magisto – This is an online video editor you can use for digital storytelling. Read Write Think – They have a number of resources, but their timeline is one that is good. Rocketbook – A physical pen and paper digital tool. BrainPOP Make-a-Movie – Students and teachers can create their own content with Moby. To save them you need to set up an educator account. Email for that info. Canva – This design platform provides a means for students to make their own logos. Cram.com – These are easy-to-use virtual flashcards. Flipgrid – I’ve sung the praises of this video creation site for a while since I find it to be one of the most useful tools for amplifying student voices. Nearpod – We’ve discussed it in-depth before, but Nearpod provides a variety of presentation, assessment, and connection options. PowerPoint – One school taught emotional skills using Disney’s Inside Out as inspiration. Students self-assessed their own emotional journey and finalized it with an emotion-driven Wordle. 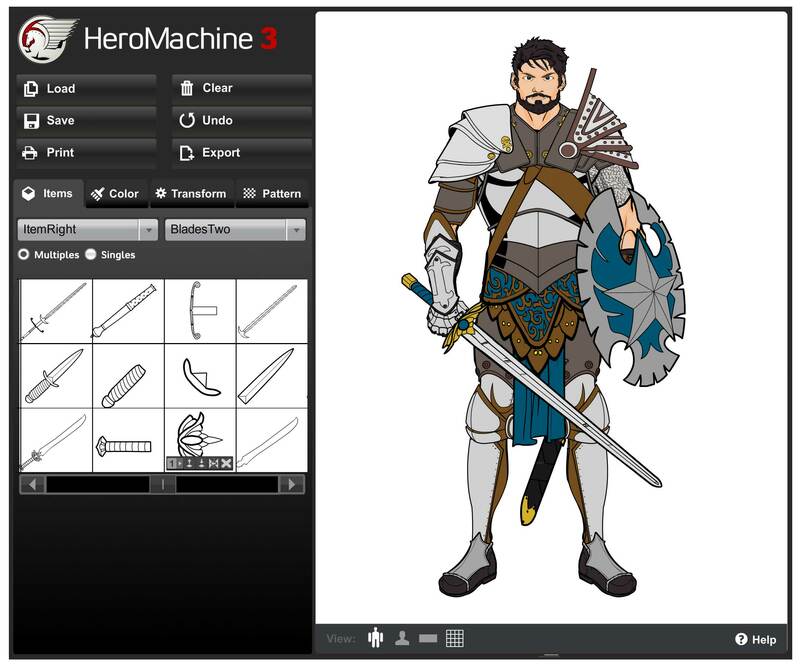 Hero Machine – Students can create their own hero. PicCollage – Create a photo book. Soundtrap – It functions like an online GarageBand that allows you to set up classes and video chat while you create. iMovie Trailers – Students use trailers to function as planning sheets. School Tech Team – Using a format similar to mouse.org, schools are creating student tech teams to address IT issues throughout the school. Toca Nature – These early childhood apps allow students to create their own natural world in a manner similar to a mini-Minecraft. Osmo – The iPad app uses physical manipulative resources to teach kids math, literacy, coding, how to race a HotWheels car, and more. Sketch Up – Students design and build 3D creations. Tinkercad – This online 3D printing design app has been used for a variety of activities from designing personalized nameplates to 3D snowmen. Other Design Tools – The Creality CR10 is a cheaper model 3D printer that some schools are using with resources like Thingiverse for printable designs and Cura for prep. Finch – Program the robot with Scratch and the Bird Brain Server app. Ozobots – These fun bots discussed before were used to review the life-cycle of a butterfly. CS Fair – 256Q is holding their own CS fair on May 11th at their 43 site. Others are invited to attend. Digital Citizenship– By partnering with Common Sense, Nearpod has one of the most comprehensive digital citizenship lessons available. Bloxels – Physical blocks that can be used to design, build, and program a game environment. Google CS First – CS classes and clubs use the Scratch platform to complete various curriculums. Infinite Arcade – Another way to learn coding through play. SEP – CS4All’s Software Engineering Program utilizes a number of programs to teach Python, HTML, and JS coding including Gamestar Mechanic, robotics, Scratch, littleBits, and code.org. Other Resources – Kodable teaches beginning coders the language of coding while BrainPOP, Flocabulary, and Kahoot provide additional resources. Merge Goggles – Merge makes incredibly sturdy adjustable VR goggles for use with Google Expeditions or other VR software. AppyPie – Design and create your school’s very own app for promoting, scheduling, and sharing information amongst all school stakeholders. Repurposed Carts – Turn an old laptop cart into a mobile school store or a Makerspace resource area. Student Newscasts – There are several schools putting together daily/weekly student newscasts using a variety of tools and resources. At 186X they are using One Drive and email to share video announcements throughout their student newscast with green screen backgrounds edited in iMovie. Using One Drive allows staff to download and play the videos asynchronously at their convenience. Yearbooks – Pictavo is a web-based yearbook creation software that teachers find easy to use. It’s easy to create a student list, set up favorites, and choose from a variety of pre-selected themes. TreeRing is another resource also used by staff.